Aubrey Marcus: Can Psychedelics Ayahuasca & DMT Alter Your Mind? 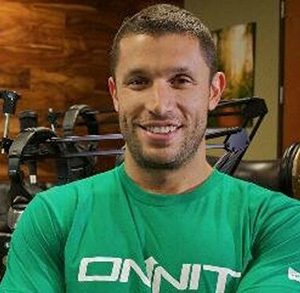 Aubrey Marcus CEO of http://www.onnit.com joined us to talk about his experiences with psychedelic sacred plant medicines like ayahuasca, ibogamine (from the iboga plant) and more. We recently did a show with Dr. Dan Engle and the crew from Crossroads Clinic in Mexico discussing how ibogaine (which comes from an African shrub) is being used to help people with many kinds of addictions. Ibogaine as used at the Crossroads Clinic is administered as a one time treatment for addictions. Can you believe the implications of that? I’ll let you think about that for a while. I feel particular called to bring awareness to psychedelic plant medicines like ayahuasca and ibogaine. People think that if a plant alters your consciousness than it should be illegal. Fortunately the alternative health community is waking up to the power of what these plant medicines can do for people. As with Chinese Medicine these psychedelic plants (i.e. psilocybin mushrooms, DMT and more) have been used in ancient cultures around the world for probably hundreds of thousands of years. No government should be able to make a plant illegal. If you would like to explore the topic of contract law and how governments really operate, I would suggest listening to this. In any event Aubrey was super fun to have on. We also discussed sensory deprivation tanks (float tanks), and altering consciousness. Please keep an open mind in regards to these sacred plant medicines. I believe they can be used to aid many of the ills currently plaguing our society! Commercial #1 – Donate $1 or $2 dollars Per Podcast! psychedelics, mushrooms, dmt, ayahuasca and more awesomeness!